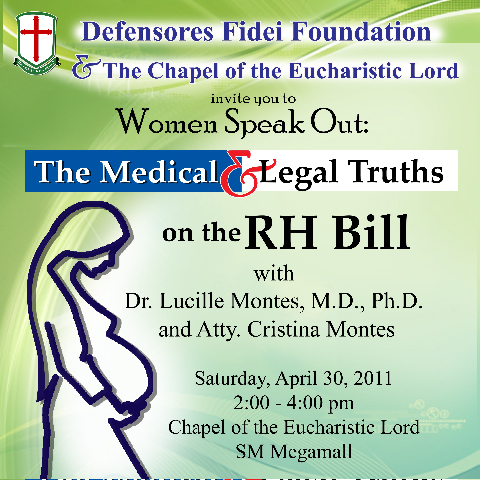 You are invited to Women Speak Out: The Medical and Legal Truths about the RH Bill on April 30, 2011 Saturday, 2 pm to 4 pm at the Chapel of the Eucharistic Lord in SM Mega Mall. Speakers are Dr. Lucille Montes, a medical doctor and couselor, and Atty. Cristina Montes. Know the truth from women who can speak the truth about the RH Bill.